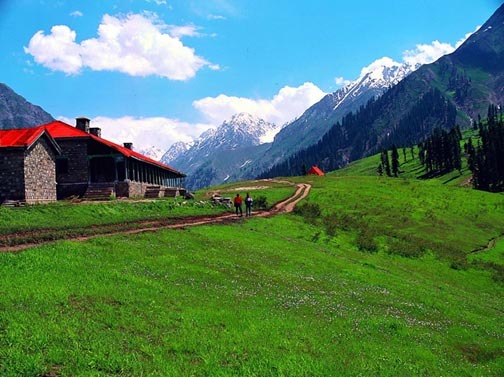 Lalazar is the second visit that most tourist do when visiting Naran (Saiful Muluk is the first). Situated on the other end of Lake Saiful Muluk, over the mountain, this is a small resort worth visiting. A large green plateau gives a nice view of the valley below. 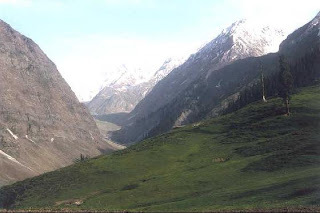 The road to Lalazar is a typical Pakistani Mountain road, with hills on one side and a deep "Khud" (valley) on the other side. The only difference was that the "Khud" is the Kunhar River. For diehard hikers, there is another route 5 hour hike over a mountain pass from Lake Saiful Muluk that one can take. 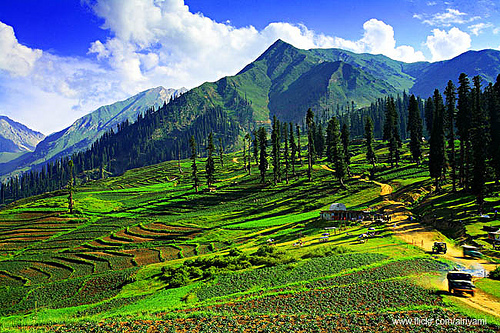 Lalazar is known for its colorful flowers and intoxicating scents. This beautiful, meadow is awash with colorful alpine flowers in spring and summer, and set amongst the cool pine forests. 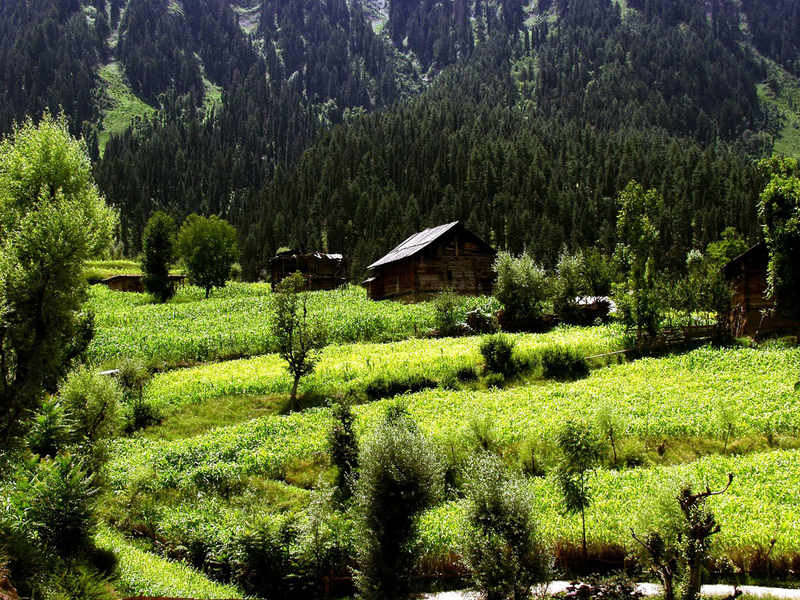 Lalazar is a place where one would enjoy camping. It has large grassy grounds and there’s no fear of falling rocks or being in way of a broken glacier. On a clear sunny day, it’s possible to view snow covered peak of "Falak Sonia" from Lalazar. 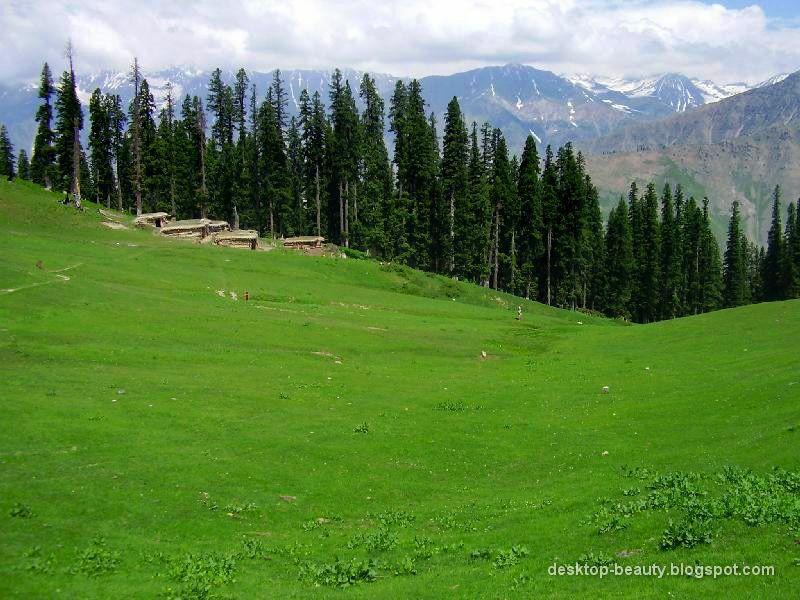 This peak has also got a fairy tale story in its background like most of the other places in Kaghan Valley. You may also see River Kunhar flowing roughly thousands of miles below the altitude you would be standing. There is a small tea cabin which caters to need of visitors. 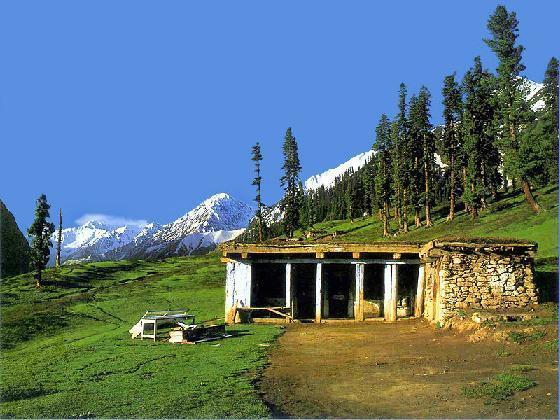 Lalazar is the favorite spot of ex-cricketer/social worker/politician Imran Khan, who drives up himself. 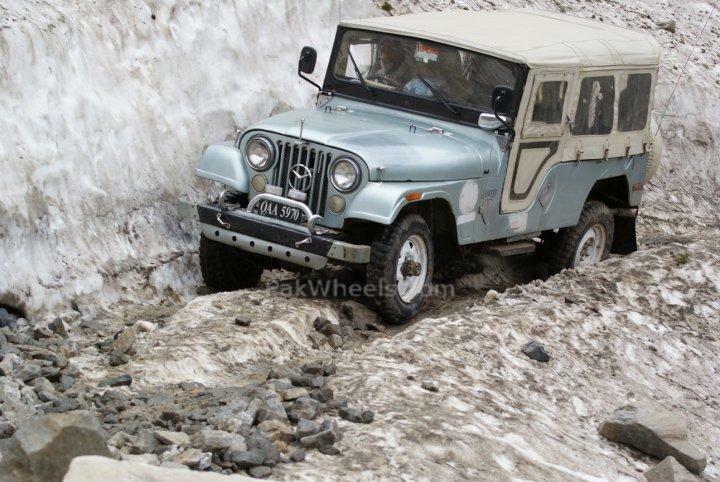 For adventure lovers , there is a lovely track from Lalazar to Saiful Maluk lake involving camping for a night. Its not an easy track. 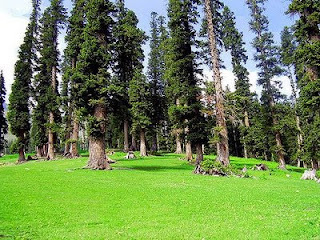 One can get a chance to see the rare wild life variety of "Markhoor" on this track during the months of October and November. amazing.. another beauty .. yaar sari jaga bht fit hain pakistan main .. but there is not proper mechanism or system to attract foreigners .. i mean there are places to see but most of the places have no hotels to live in .. they are just touch and go places.. so this is one fact where authorities should look for.. I have to this place, this is wonderful place, I enjoyed alot in Kaghan Naran trip. awesome place. I have been to this place, this is wonderful place, I enjoyed alot in Kaghan Naran trip. awesome place. 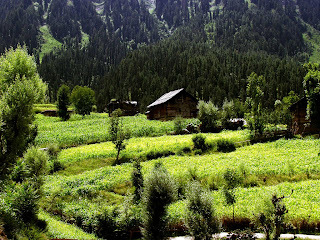 Northern area of Pakistan is so beautiful i have visited it many times whenever i took flights to Islamabad from Heathrow i must visit the northern areas some time my visit consists of few days and some time i took stay for month. this blog is best for information of tourist places.for visit my website click here ESCORTS IN LAHORE .